Product prices and availability are accurate as of 2019-04-12 08:51:09 EDT and are subject to change. Any price and availability information displayed on http://www.amazon.com/ at the time of purchase will apply to the purchase of this product. 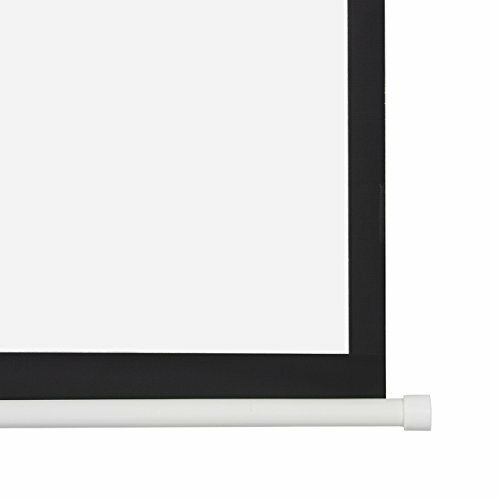 Onebigoutlet 100" manual projection screen, can offer you a perfect visual enjoyment with optimal image and color reproduction. It is ideal for home theater movies, classroom training, conference room presentations, public display, etc. 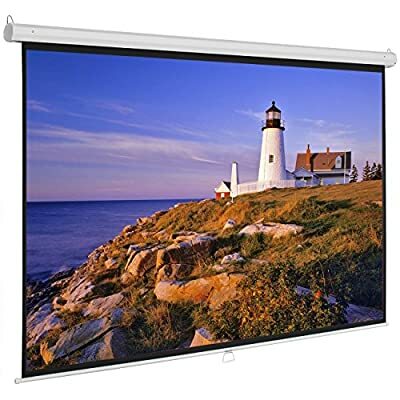 high quality matte white surface provides 87" x 49"" of viewing area with 16:9 ratio. 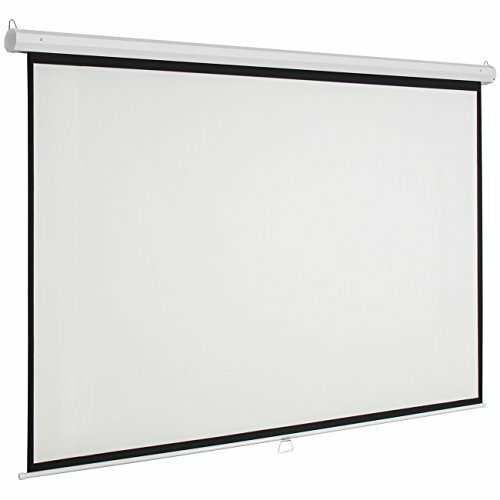 It features high quality matte white viewing surface, which diffuses projected light evenly. Pull-down lock technology allows you to easily adjust the screen height and the aspect ratio. 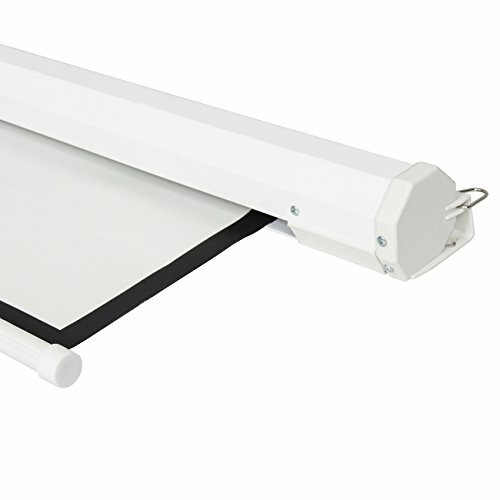 End cap bracket allows for wall or ceiling mount installation. Viewing Area (W X H): 87" × 49"